Last week one of the most comprehensive analyses assessing the risk of developing Parkinson’s following mild traumatic brain injury (or TBI) was published. Using data collected from US military veterans, the study concluded that mild TBI was associated with a 56% increased risk of developing Parkinson’s. In today’s post, we will review the study, discuss what TBI means, and consider what implications this study could have for the Parkinson’s community. At a recent research conference, a young PhD student was looking at me from across the room. It had been a while since anyone had asked me this. DBS2.0: Look mum, no electrodes! Deep brain stimulation is a surgical procedure that can provide immediate motor-related benefits to people with Parkinson’s disease. The approach involves placing electrodes deep inside the brain. This procedure requires invasive surgery and there are no guarantees that it will actually work for everybody. Recently, researchers at MIT have devised a new technique that could one day allow for a new kind of deep brain stimulation – one without the electrodes and surgery. In today’s post we will review the science behind deep brain stimulation and the research leading to non-invasive deep brain stimulation. In his text “Compositiones medicamentorum” (46 AD), Scribonius Largo, head physician of the Roman emperor Claudius, first suggested using pulses of electricity to treat afflictions of the mind. He proposed that the application of the electric ray (Torpedo nobiliana) on to the cranium could be a beneficial remedy for headaches (and no, I’m not kidding here – this was high tech at the time!). These Atlantic fish are known to be very capable of producing an electric discharge (approximately 200 volts). The shock is quite severe and painful – the fish get their name from the Latin “torpere,” meaning to be stiffened or paralysed, referring specifically to the response of those who try to pick these fish up – but the shock is not fatal. Now, whether Largo was ever actually allowed to apply this treatment to the august ruler is unknown, and beyond the point. What matters here is that physicians have been considering and using this approach for a long time. And more recently, the application of it has become more refined. The modern version of deep brain stimulation is a surgical procedure in which electrodes are implanted into the brain. It is used to treat a variety of debilitating symptoms, particularly those associated with Parkinson’s disease, such as tremor, rigidity, and walking problems. Being a proud kiwi, I am happy to highlight and support any research coming out of New Zealand. Recently a new commentary has been published suggesting that living in the NZ city of Rotorua (‘Roto-Vegas‘ to the locals) may decrease the risk of developing Parkinson’s disease. In today’s post, we will review the research behind the idea and discuss what it could mean for people with neurodegenerative conditions, like Parkinson’s disease. Rotorua is a small city in the central eastern area of the North Island of New Zealand (Aotearoa in the indigenous Māori language). The name Rotorua comes from the Māori language (‘roto’ meaning lake and rua meaning ‘two’). The full Māori name for the spot is actually Te Rotorua-nui-a-Kahumatamomoe. The early Māori chief and explorer Ihenga named it after his uncle Kahumatamomoe. But given that it was the second major lake found in Aotearoa (after lake Taupo in the centre of the North Island), the name that stuck was Rotorua or ‘Second lake’. Similar to lake Taupo, Rotorua is a caldera resulting from an ancient volcanic eruption (approximately 240,000 years ago). The lake that now fills it is about 22 km (14 mi) in diameter. The volcano may have disappeared, but the surrounding region is still full of geothermal activity (bubbling mud pools and geysers), providing the region with abundant renewable power and making the city a very popular tourist destination. Before visiting the city, however, travellers should be warned that Rotorua’s other nicknames include “Sulphur City” and “Rotten-rua”, because of the smell that results from the geothermal activity. And speaking from personal experience, the “rotten eggs” smell is prevalent. Interesting, but what has this got to do with the science of Parkinson’s disease? Well, the rotten egg smell is the result of hydrogen sulfide emissions, and recently it has been suggested that this pungent gas may be having positive benefits on people, particularly with regards to Parkinson’s disease. Title: Rotorua, hydrogen sulphide and Parkinson’s disease-A possible beneficial link? Journal: N Z Med J. 2017 May 12;130(1455):123-125. In his write up, Dr Cakmak points towards two studies that have been conducted on people from Rotorua. The first focused on examining whether there was any association between asthma and chronic obstructive pulmonary disease and exposure to hydrogen sulfide in Rotorua. By examining air samples and 1,204 participants, the investigators of that study no association (the report of that study is OPEN ACCESS and can be found by clicking here). Title: Chronic ambient hydrogen sulfide exposure and cognitive function. Authors: Reed BR, Crane J, Garrett N, Woods DL, Bates MN. Journal: Neurotoxicol Teratol. 2014 Mar-Apr;42:68-76. In this study, the investigators recruited 1,637 adults (aged 18-65 years) from Rotorua. They conducted neuropsychological tests on the subjects, measuring visual and verbal episodic memory, attention, fine motor skills, psychomotor speed and mood. The average amount of time the participants had lived in the Rotorua region was 18 years (ranging from 3-64 years). The researchers also made measurements of hydrogen sulfide levels at the participants homes and work sites. While the researchers found no association between hydrogen sulfide exposure and cognitive ability, they did notice something interesting in the measures of fine motor skills: individuals exposed to higher levels of hydrogen sulfide displayed faster motor response times on tasks like finger tapping. Finger tapping speed is an important part of Parkinson’s Motor Rating Scale examination tests. Dr Cakmak, however, wondered whether “relatively high, but safe, hydrogen sulfide levels in Rotorua could help protect the degradation of dopaminergic neurons associated with Parkinson’s Disease?” (based on the better performance on the motor response time). Hang on a second, what exactly is hydrogen sulfide? Hydrogen sulfide (chemical symbol: H2S) is a colourless gas. Its production often results from the the breaking down of organic material in the absence of oxygen, such as in sewers (this process is called anaerobic digestion. It also occurs in volcanic and geothermal conditions. 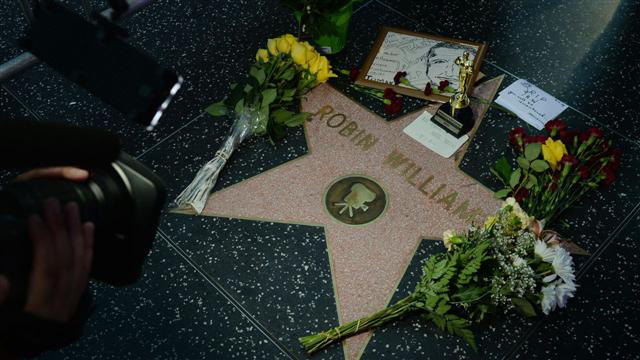 About 15 years ago, it was found in various organs in the body and termed a gasotransmitter. A gasotransmitter is a molecule that can be used to transmit chemical signals from one cell to another, which results in certain physiological reactions (oxygen, for example, is a gasotransmitter). Hydrogen sulfide is now known to be cardioprotective (protection of the heart), and many years of research have demonstrated beneficial aspects of using it in therapy, such as vasodilation and lowering blood pressure, increasing levels of antioxidants, inhibiting inflammation, and activation of anti-apoptotic (anti-cell death) pathways. For a good review of hydrogen sulfide’s cardioprotective properties – click here. The demonstration of the protective properties of hydrogen sulfide in other bodily organs have led neuroscientists to start investigating whether these same benefits could be utilised in treating disorders of the brain. And the good news is: hydrogen sulfide can have positive benefits in the brain – Click here for a good review of the brain-related research. Has other research been conducted on hydrogen sulfide regarding Parkinson’s disease? Yes. And here is where the story starts to get really interesting. Initially, there were reports that hydrogen sulfide could protect cells grown in culture from exposure to various neurotoxins (Click here and here for examples). 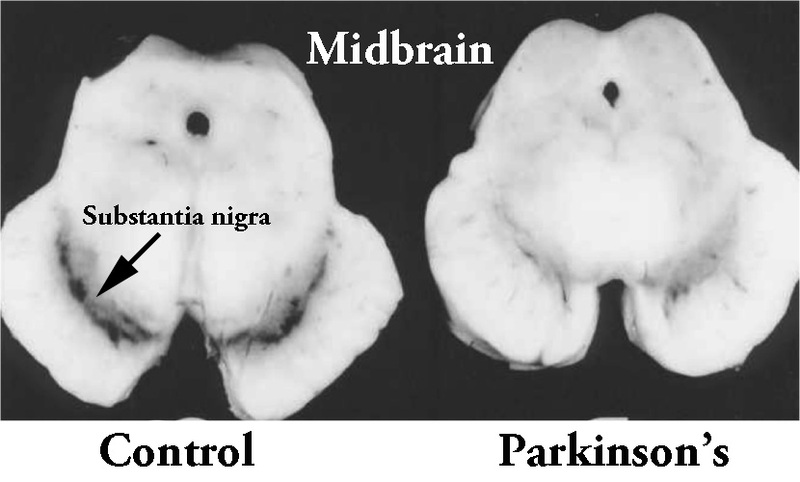 Title: Neuroprotective effects of hydrogen sulfide on Parkinson’s disease rat models. Authors: Hu LF, Lu M, Tiong CX, Dawe GS, Hu G, Bian JS. Journal: Aging Cell. 2010 Apr;9(2):135-46. In this study, the researchers firstly looked at what happens to hydrogen sulfide in the brains of rodent models of Parkinson’s disease. When rats were injected with a neurotoxin (6-OHDA) that kills dopamine neurons, the investigators found a significant drop in the level of hydrogen sulfide in the region where the dopamine cells reside (called the substantia nigra – an area of the brain severely affected in Parkinson’s disease). Next the researchers gave some rodents the neurotoxin, waited three weeks and then began administering sodium hydrosulfide – which is a hydrogen sulfide donor – every day for a further 3 weeks. They found that this treatment significantly reduced the dopamine cell loss, motor problems and inflammation in the sodium hydrosulfide treated animals. Interestingly, they saw the same neuroprotective effect when they repeated the study with a different neurotoxin (Rotenone). The investigators concluded that hydrogen sulfide “has potential therapeutic value for treatment of Parkinson’s disease”. Title: Inhaled hydrogen sulfide prevents neurodegeneration and movement disorder in a mouse model of Parkinson’s disease. Authors: Kida K, Yamada M, Tokuda K, Marutani E, Kakinohana M, Kaneki M, Ichinose F.
Journal: Antioxid Redox Signal. 2011 Jul 15;15(2):343-52. In this study, the investigators gave mice a neurotoxin (MPTP) and then had them breathe air with or without hydrogen sulfide (40 ppm) for 8 hours per day for one week. The mice that inhaled hydrogen sulfide displayed near normal levels of motor behaviour performance and significantly reduced levels of neurodegeneration (dopamine cell loss). Inhalation of hydrogen sulfide also prevented the MPTP-induced activation of the brain’s helper cells (microglia and astrocytes) and increased levels of detoxification enzymes and antioxidant proteins (including heme oxygenase-1 and glutamate-cysteine ligase). Curiously, hydrogen sulfide inhalation did not significantly affect levels of reduced glutathione (we will come back to this in an upcoming post). These first two preclinical results have been replicated many times now confirming the initial findings (Click here, here, here and here for examples). The researchers of the second ‘inhalation’ study concluded the study by suggesting that the potential therapeutic effects of hydrogen sulfide inhalation now needed to be examined in more disease relevant models of Parkinson’s disease. Title: Sulfhydration mediates neuroprotective actions of parkin. Authors: Vandiver MS, Paul BD, Xu R, Karuppagounder S, Rao F, Snowman AM, Ko HS, Lee YI, Dawson VL, Dawson TM, Sen N, Snyder SH. Journal: Nat Commun. 2013;4:1626. doi: 10.1038/ncomms2623. The researchers conducting this study were interested in the interaction of hydrogen sulfide with the Parkinson’s disease-associated protein Parkin (also known as PARK2). They found that hydrogen sulfide actively modified parkin protein – a process called sulfhydration – and that this enhances the protein’s level of activity. They also noted that the level of Parkin sulfhydration in the brains of patients with Parkinson’s disease is markedly reduced (a 60% reduction). These finding imply that drugs that increase levels of hydrogen sulfide in the brain may be therapeutic. Interestingly, cells with genetic mutations in another Parkinson’s disease related gene, DJ-1, also produce less hydrogen sulfide (click here to read more about this). Has anyone ever looked at hydrogen sulfide and alpha synuclein? Alpha synuclein is the Parkinson’s disease associated protein that clusters in the Parkinsonian brain and forms Lewy bodies. Authors: Rosario-Alomar MF, Quiñones-Ruiz T, Kurouski D, Sereda V, Ferreira EB, Jesús-Kim LD, Hernández-Rivera S, Zagorevski DV, López-Garriga J, Lednev IK. Journal: J Phys Chem B. 2015 Jan 29;119(4):1265-74. Amyloid formations are large clusters of misfolded proteins that are associated with neurodegenerative conditions, like Alzheimer’s disease and Parkinson’s disease. The researchers who conducted this study were interested in the behaviour of these misfolded protein in the presence of hydrogen sulfide. What they found was rather remarkable: the addition of hydrogen sulfide completely inhibited the formation amyloid fibrils (amyloid fibril plaques are found in brains of people with Alzheimer’s disease). If the addition of hydrogen sulfide can reduce the level of clustered proteins in a model of Alzheimer’s disease, it would be interesting to see what it would do to alpha synuclein. 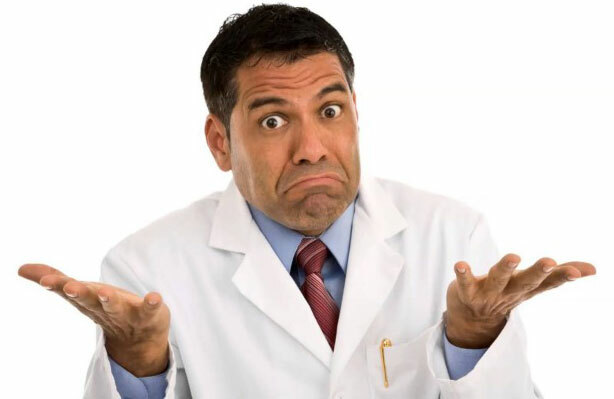 Has hydrogen sulfide ever been tested in the clinic? There are currently 17 clinical trials investigating hydrogen sulfide in various conditions (not Parkinson’s disease though). So where can I get me some of that hydrogen sulfide? Ok, so here is where we come in with the health warning section. You see, hydrogen sulfide is a very dangerous gas. It is really not to be played with. The gas is both corrosive and flammable. More importantly, at high concentrations, hydrogen sulfide gas can be fatal almost immediately (>1000 parts per milllion – source: OSHA). And the gas only exhibits the “rotten eggs” smell at low concentrations. At higher concentrations it becomes undetectable due to olfactory paralysis (luckily for the folks in Rotorua, the levels of hydrogen sulfide gas there are between 20-25 parts per billion). Thus, we do not recommend readers to rush out and load up on hydrogen sulfide gas. There are many foods that contain hydrogen sulfide. For example, garlic is very rich in hydrogen sulfide. Another rich source is cooked beef, which has about 0.6mg of hydrogen sulfide per pound – cooked lamb has closer to 0.9 milligrams per pound. Heated dairy products, such as skim milk, can have approximately 3 milligrams of hydrogen sulfide per gallon, and cream has slightly more than double that amount. Any significant change in diet by a person with Parkinson’s disease should firstly be discussed with a trained medical physician as we can not be sure what impact such a change would have on individualised treatment regimes. Summing up: It would be interesting to look at the frequency of Parkinson’s disease in geothermal region of the world (the population of Rotorua is too small for such an analysis – 80,000 people). Researchers believe that components of the gas emissions from these geothermal areas may be neuroprotective. Of particular interest is the gas hydrogen sulfide. At high levels, it is a very dangerous gas. At lower levels, however, researchers have shown that hydrogen sulfide has many beneficial properties, including in models of neurodegenerative conditions. These findings have led many to propose testing hydrogen sulfide in clinical trials for conditions like Parkinson’s disease. Dr Cakmak, who we mentioned near the top of this post, goes one step further. He hypothesises that hydrogen sulfide may actually be one of the active components in the neuroprotective affect of both coffee and smoking – and with good reason. It was recently demonstrated that the certain gut bacteria, such as Prevotella, are decreased in people with Parkinson’s disease (see our post on this topic by clicking here). The consumption of coffee has been shown to help improve the Prevotella population in the gut, which may in term increase the levels of Prevotella-derived hydrogen sulfide. Similarly smokers have a decreased risk of developing Parkinson’s disease and hydrogen sulfide is a component of cigarette smoke. All of these ideas still needs to be further tested, but we are curious to see where this research could lead. An inhaled neuroprotective treatment for Parkinson’s disease may have benefits for other neurodegenerative conditions. Oh, and if anyone is interested, we are happy to put readers in contact with real estate agents in sunny ‘Rotten-rua’, New Zealand. The locals say that you gradually get used to the smell. EDITOR’S NOTE: Under absolutely no circumstances should anyone reading this material consider it medical advice. The material provided here is for educational purposes only. Before considering or attempting any change in your treatment regime, PLEASE consult with your doctor or neurologist. While some of the drugs/molecules discussed on this website are clinically available, they may have serious side effects. We therefore urge caution and professional consultation before any attempt to alter a treatment regime. SoPD can not be held responsible for any actions taken based on the information provided here. I really didn’t expect to be writing about Parkinson’s research being conducted in New Zealand again so quickly, but yesterday a new study was published which has a few people excited. It presents evidence of how the disease may be spreading… using cells collected from people with Parkinson’s disease. In today’s post we will review the study and discuss what it means for Parkinson’s disease. We may have mentioned the protein Alpha synuclein once or twice on this blog. For anyone familiar with the biology of Parkinson’s disease, alpha synuclein is a major player. It is either public enermy no.1 in the underlying pathology of this condition or else it is the ultimate ‘fall guy’, left standing in the crime scene holding the bloody knife. Remind me, what is alpha synuclein? Alpha synuclein is an extremely abundant protein in our brains – making up about 1% of all the proteins floating around in each neuron (one of the main types of cell in the brain). 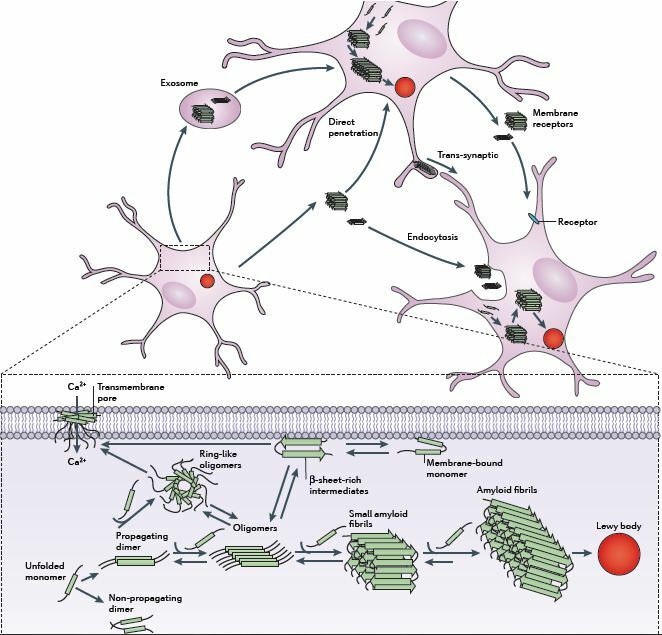 In healthy brain cells, normal alpha synuclein is typically found just inside the surface of the membrane surrounding the cell body and in the tips of the branches extending from the cell (in structures called presynaptic terminals which are critical to passing messages between neurons). And why is alpha synuclein important in Parkinson’s disease? 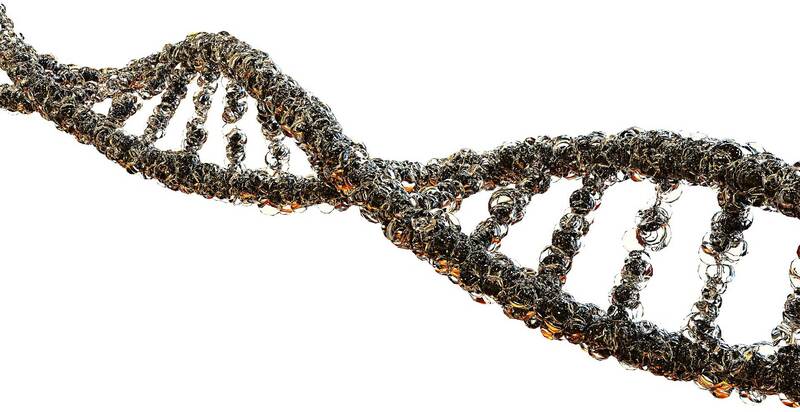 Genetic mutations account for 10-20% of the cases in Parkinson’s disease. Five mutations in the alpha-synuclein gene have been identified which are associated with increased risk of Parkinson’s disease (A53T, A30P, E46K, H50Q, and G51D – these are coordinates for locations on the alpha synuclein gene). Rare duplication or triplication of the gene have also been associated with Parkinson’s disease. So genetically, alpha synuclein is associated with Parkinson’s disease. But it is also involved at the protein level. 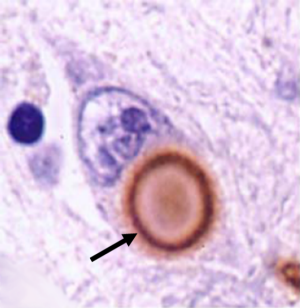 In brains of many people with Parkinson’s disease, there are circular clumps of alpha synuclein (and other proteins) that collect inside cells. 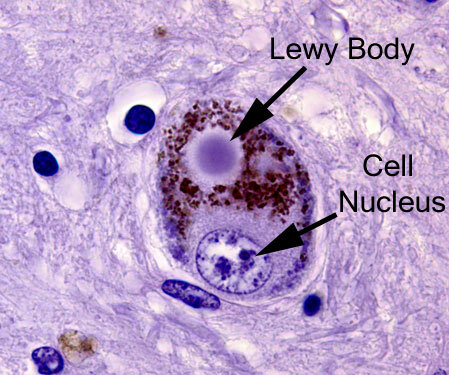 These clumps are called Lewy bodies. They are particularly abundant in areas of the brain that have suffered cell loss. No one has ever seen the process of Lewy body formation, so all we can do is speculate about how these aggregates develop. Currently there is a lot of evidence supporting the idea that alpha synuclein can be passed between cells. 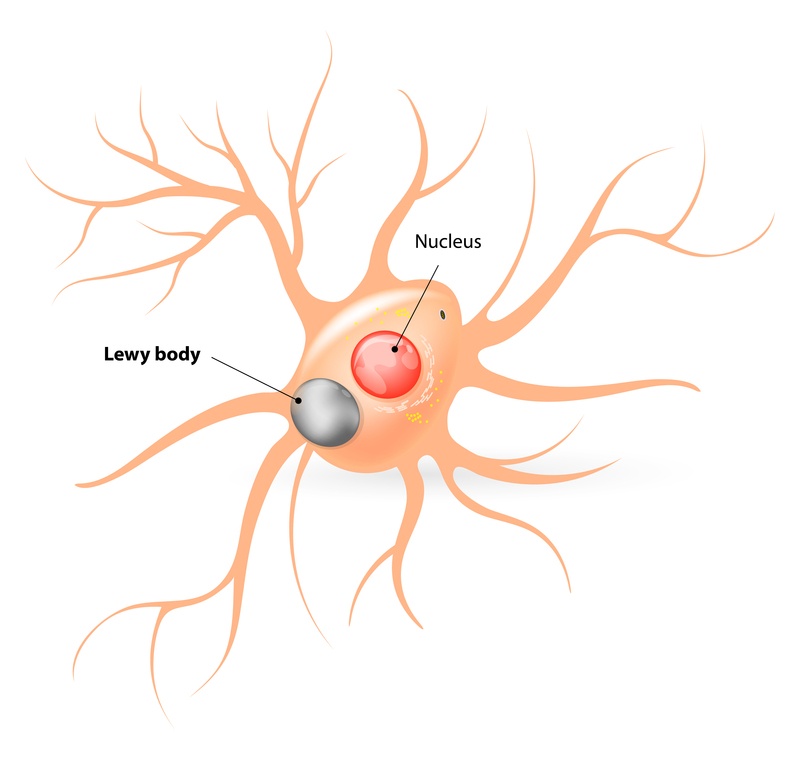 Once inside the new cell, the alpha synuclein helps to seed the formation of new Lewy bodies, and this is how the disease is believed to progress. Exactly how alpha synuclein is being passed between cells is the topic of much research at the moment. There are many theories and some results implicating methods such as direct penetration, or via a particular receptor. Perhaps even by a small package called an exosome being passed between cells (see image above). How this occurs in the Parkinson’s disease brain, however, is unknown. And this (almost) brings us to the kiwi scientists. Title: Tunneling nanotubes spread fibrillar α-synuclein by intercellular trafficking of lysosomes. Authors: Abounit S, Bousset L, Loria F, Zhu S, de Chaumont F, Pieri L, Olivo-Marin JC, Melki R, Zurzolo C.
Journal: EMBO J. 2016 Oct 4;35(19):2120-2138. The researchers who conducted this study were interested in tunneling nanotubes. Tunneling nanotubes (also known as Membrane nanotubes or cytoneme are long protrusions extending from one cell membrane to another, allowing the two cells to share their contents. They can extend for long distances, sometimes over 100 μm – 0.1mm, but that’s a long way in the world of cells! Previous studies had demonstrated that tunneling nanotubes can pass different infectious agents (HIV for example – click here to read more on this), supporting the idea that these structures could be a general conduit by certain diseases could be spreading. In their study the Swiss researchers found that alpha synuclein could be transferred between brain cells (grown in culture) via tunneling nanotubes. In addition, following that process of transfer, the alpha synuclein was able to induce the aggregation (or clumping) of the alpha synuclein in recipient cells. A particularly interesting finding was that alpha synuclein appeared to encourage the appearance of tunneling nanotubes (there were more tunneling nanotubes apparent when cells produced more alpha synuclein). And the alpha synuclein that was being transferred was being passed on in ‘lysosomal vesicles’ – these are the rubbish bags of the cell (lysosomal vesicles are used to take proteins away for degradation). Paints a rather insidious picture of the ‘ultimate fall guy’ huh! Authors: Dieriks BV, Park TI, Fourie C, Faull RL, Dragunow M, Curtis MA. In their study, the New Zealand scientists extended the Swiss research by looking at cells collected from people with Parkinson’s disease. The researchers took human brain pericytes, which were derived from the postmortem brains of people who died with Parkinson’s disease. And before you ask: pericytes are cells that wrap around the cells lining small blood vessels. They are important to the development of new blood vessels and maintaining the structural integrity of microvasculature. Pericytes contain alpha synuclein precipitates like those seen in neurons, and the kiwi scientists demonstrated that pericytes too can transfer alpha synuclein via tunneling nanotubes to neighbouring cells – representing a non-neuronal method of transport. They also found that the transfer through the tunneling nanotubes can be very rapid – within 30 seconds – and the transferred alpha synuclein can hang around for more than 72 hours, suggesting that it is difficult for the receiving cell to dispose of. The researchers did note that the transfer through tunneling nanotubes occurred only in small subset of cells, but that this could explain the slow progression of Parkinson’s disease over time. In order for us to truly tackle Parkinson’s disease and bring it under control, we need to know how this slowly progressing neurodegenerative condition is spreading. Some researchers in New Zealand have provided evidence involving cells collected from people with Parkinson’s disease that indicates one method by which the disease could be passed from one cell to another. Tiny tunnels between cells, allowing material to be shared, could explain how the disease slowly progresses. The scientists observed the Parkinson’s associated protein alpha synuclein being passed between cells and then hanging around for more than a few days. This method of transfer was made more interesting because the New Zealand researchers reported that non-neuronal cells (Pericytes, collected from people with Parkinson’s disease) could also form tunneling nanotubes. This observation raises questions as to what role non-neuronal cells could be playing in Parkinson’s disease. This line of questions will obviously be followed up in future research, as will efforts to determine if tunneling nanotubes are actually present in the human brain or simply biological oddities present only in the culture dish. Demonstrating nanotubes in the brain will be difficult, but it would provide us with solid evidence that this method of disease transfer could be a bonafide cause of disease spread. We watch with interest for further work in this area. FULL DISCLOSURE: The author of this blog is a kiwi… and proud of it. He is familiar with the researchers who have conducted this research, but has had no communication with them regarding the publishing of this post. He simply thought that the results of their study would be of interest to the Parkinson’s community.